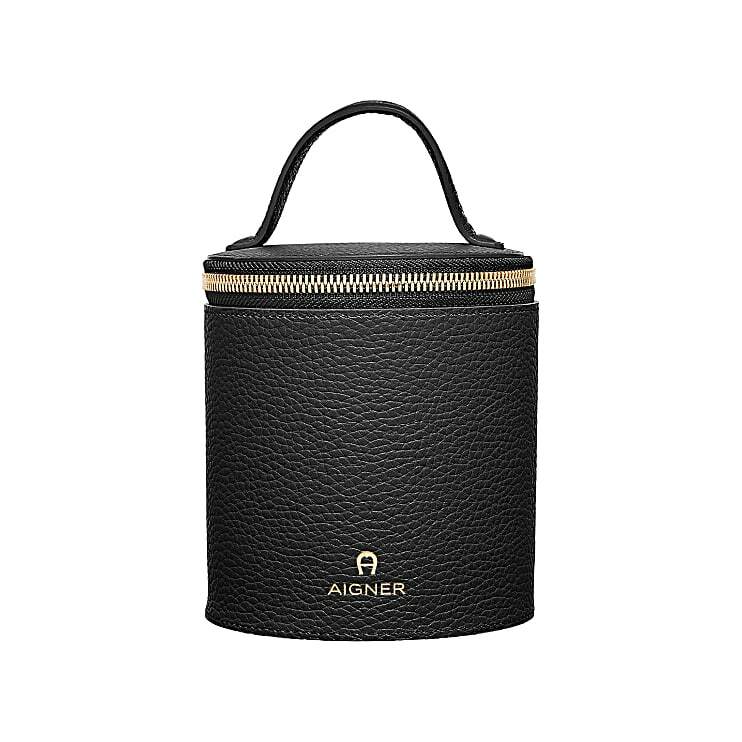 This high cosmetics bag presents itself as a modern treasure chest with a trendy design. In the new, peppy colours from our current collection, this snazzy leather bag comes in bright colours like candy pink, poppy red or true blue and gives away the colourful and joyful intuition of the leather accessory. Because the #AIGNERLOVE of our current collection presents itself in shiny gold along the small handle. 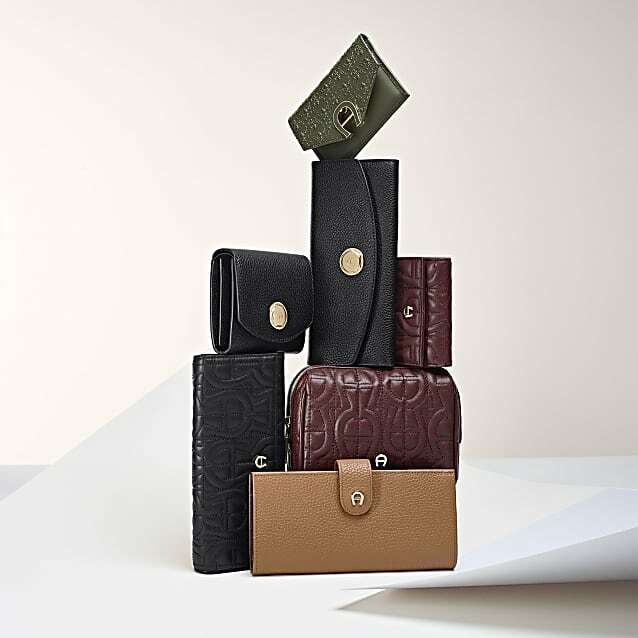 A surrounding zipper makes the straight bag easy to open so you can easily store small items or valuables or jewellery in the large interior.